In the beginning of my makeup wearing days, I wore only a smidgen of concealer and powder as my base makeup and used makeup remover wipes at the end of the day to take it all off. As time went on I added more base makeup like tinted moisturizers, bb creams and foundations so I needed a more heavy duty cleansing oil or cleansing water to make sure my skin was well cleaned. Makeup remover wipes are a somewhat last resort to me back at home because they tug at the skin and do not deep clean the skin. But for convenience sake I brought two packs with me to Amsterdam in preparation for lazy late nights. I only stumbled upon Josie Maran's Bear Naked Wipes because they were on promotion for $10 along with the Bear Naked Nail Wipes during Sephora's Black Friday sale. These regularly retail for $12 and it works out to about 40 cents per wipe as the pack contains 30 wipes. A portion of the proceeds from every pack sold is donated to the Natural Resources Defense Council's Polar Bear SOS Initiative (what a mouthful!). The Klorane Soothing Make-Up Remover Wipes with Cornflower Water were part of a travel set I picked up for $19.50 but the wipes themselves cost $11. Each pack houses 25 wipes which makes each about 44 cents. Josie Maran wins in terms of price per wipe and the polar bear donation also works in her favor. On the other hand, Klorane wins in terms of packaging with the plastic snap lid as the Josie Maran pack only comes with a sticky flap that allows the wipes to dry up. 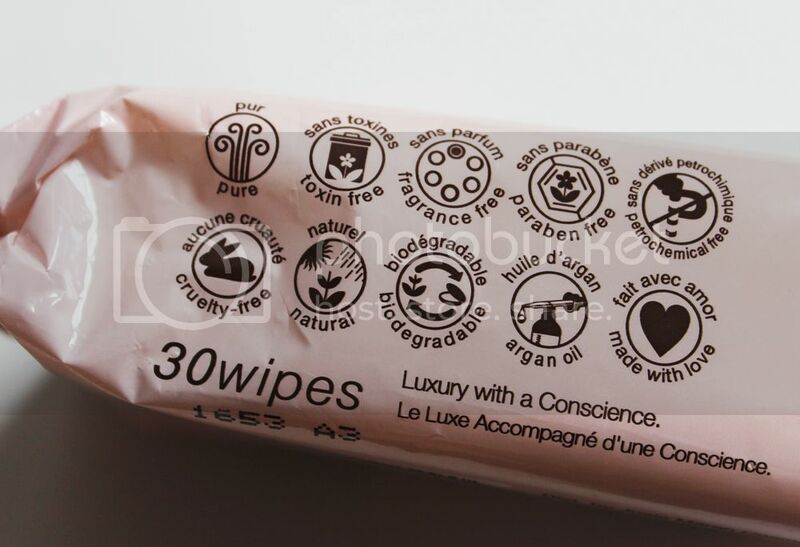 Both types of makeup wipes are fragrance, paraben and cruelty free. However, both wipes have a distinct scent. The Josie Maran wipes have a grapefruit scent and the Klorane wipes have a clean laundry-like scent. Both wipes are biodegradable and the Klorane wipes are alcohol free as well. 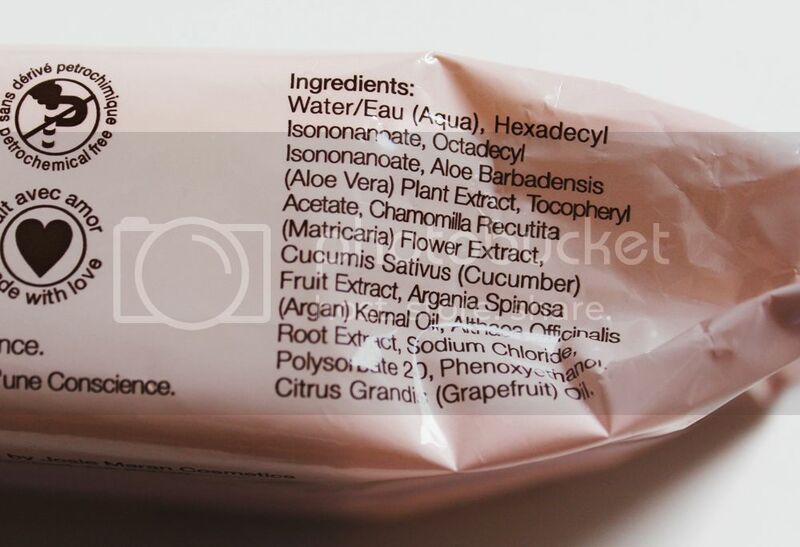 The Josie Maran wipes contain argan oil as do many of her other products. 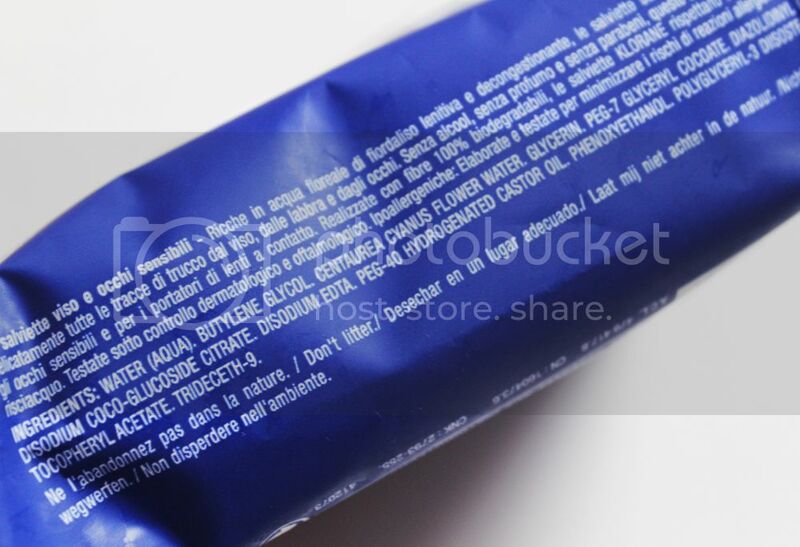 For those of you who are interested in the ingredients, both wipes clearly label what is in the formula right on the packages. Both brands have come up with impressive qualities and I personally feel better about using these wipes as opposed to ones found at the drugstore. 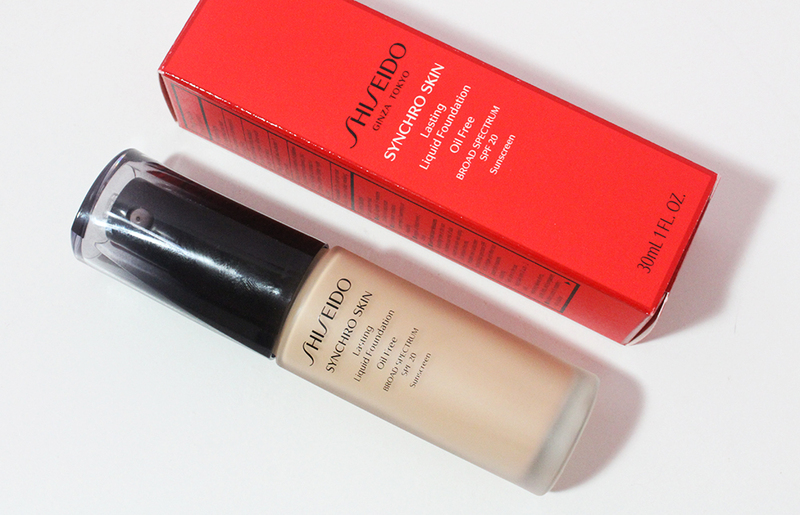 In general, both wipes do a decent job at removing light face makeup such as concealer, Western bb cream and powder. I always remove my eye makeup with a separate makeup remover as makeup wipes are too harsh on the eye area. The Josie Maran wipes seem to have more formula and the material of the wipe is softer and more plush than the Klorane wipes. Unfortunately, both of these wipes are not perfect. 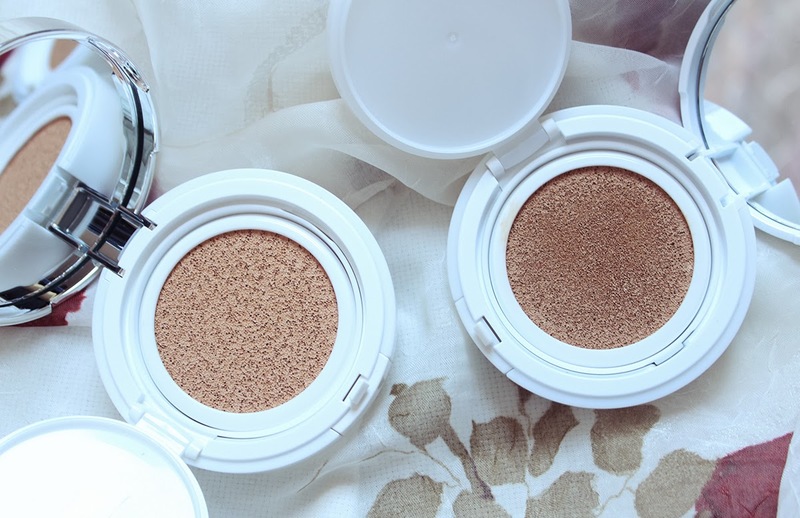 The Klorane wipes sting my eyes when I go over my lid and lash area to get rid of any residual eye makeup. While the Josie Maran wipes do not sting my eyes, they actually sting my face. It is not a horrible, painful stinging but it is definitely noticeable and makes the whole experience much less pleasant. Although I wanted to enjoy these makeup remover wipes, I was let down due to the discomfort they caused my skin. Despite claiming to be natural and gentle, the formula was not a match for my skin. I will finish up these products but will not repurchase and am once again hesitant to try makeup remover wipes. Do you have any luck with cleansing towelettes? Which are your favorites? Oh no.. =/ So much stinging! I like portable wipes as well but I rarely buy them because I'd rather wash my face. There is a brand that I like called Epielle and their face wipes are like $2.00 for 40 sheets or something LOL They have both the sticky flap packaging and the snap lid. Honestly my favorite wipes have been the Say Yes to Cucumber and Almay sensitive skin ones. The fancy ones always stung for me. Sorry these didn't workout. I use a cotton round with an eye makeup remover for my eyes. I only use wipes to remove my face makeup. I like baby wipes, lol. They are way less expensive, gentle, thicker and larger than the typical makeup wipes. Then I wash my face afterward. I'd never go back to makeup wipes.